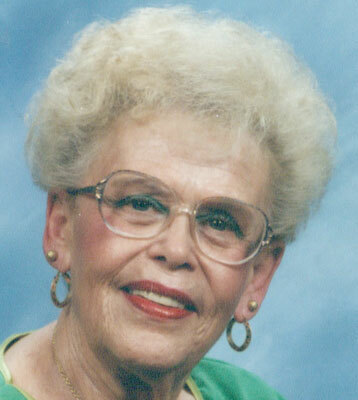 MARTHA M. AMBROSE GIRARD – Martha M. Ambrose, 82, passed away on Monday, July 16, 2012, at Masternick Memorial Health Care Center. Martha was born Oct. 14, 1929, in Warren, the daughter of the late William and Alma Lewis Silvis. Martha was a member of the Open Door Community Church in McDonald and was a former past president of the Lions Club Auxiliary of Fort Lauderdale and former member of the Slovenian Dome Ladies Auxiliary. She is survived by her son, William (Betty Ann) Ambrose of Enon Valley, Pa.; son-in-law Tim May; six grandchildren; and four great-grandchildren. She was preceded in death by her husband, Samuel L. Ambrose; and daughter Deborah M. May. Private family services will be held on Thursday at 11 a.m. at the Open Door Community Church, where family visitation will be held from 10 a.m. until the time of service. Interment will take place at Green Haven Memorial Park.